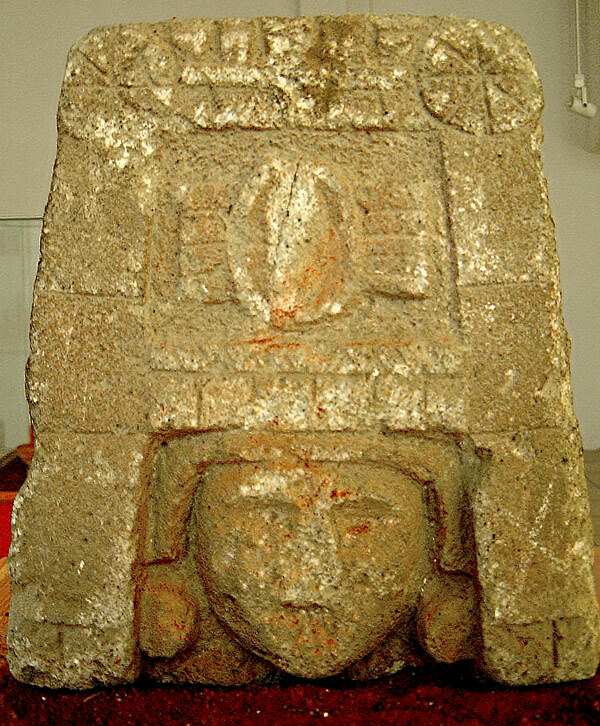 This statue is found in the small site museum at Calixtlahuaca. The name translates to “Sculpture in Stone Case Hillock” and describes the meaning of the hat-like structure, which is actually meant to represent a hill, which in turn represents a place in Mesoamerican glyphic languages. So the complete statue would have told of this person in the context of where he was from, which presumably wasn’t local and was of significance.